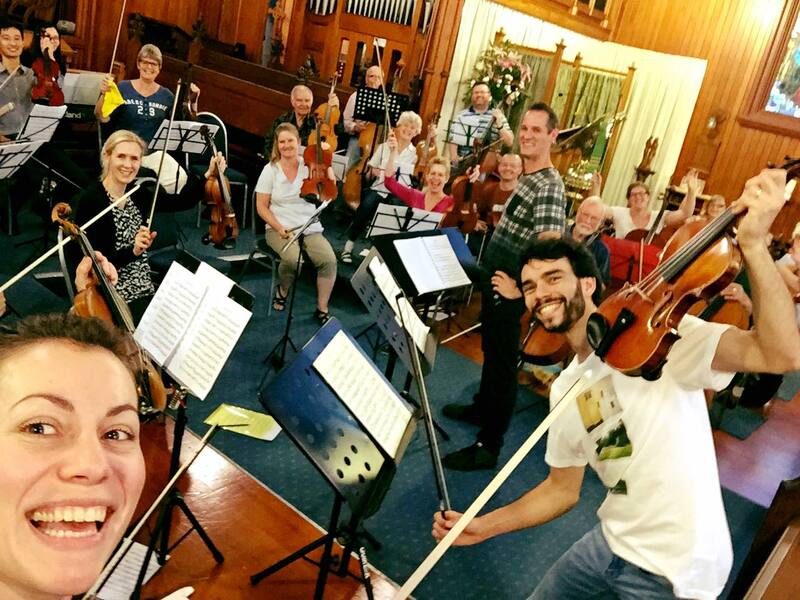 The Devonport Chamber Orchestra deserves accolades for its innovative programming as well as its playing. A near-capacity audience at Holy Trinity Church on 19 February was treated to a stunning performance of 18th and 21st century works for strings and harpsichord. Solo violinists Marie-Luise and Christoph Dingler, in New Zealand for only a week, deserved the ecstatic reception they were given. The concert opened with the Bach Double Concerto in D minor. The brother-and-sister soloists were superbly matched – their sweetness of tone and delicate interpretation kept the audience enthralled. Before playing the final scheduled work, the soloists returned to perform two lively duos. They spoke about an international competition they have founded in Germany to expand the two-violin repertoire. The two works – Doch Laub und Wolken unter Nacht – (Leaves and Clouds by Night), by Johannes Söllner, and Orient Express by Tonio Geugelin – were compositions from the final of the 2012 competition. The first began with a slow emotional theme on one violin before being joined by the second in an accompanying role. The siblings switched roles during the piece, which grew in intensity and speed before returning to a serene duet. Orient Express involved quite unusual elements including pizzicato, spiccato and one player tuning down a string and then retuning it during the performance. There were hints of jazz, blues and gypsy rhythms, and harmony. The concerto, in three movements, was composed as a companion piece to be played with the Bach. It was programmatic in style – the three movements entitled Rendezvous, Night Town and Happy Ending – with light melodic lines and a lot of humor. It could well have been a film score. It engaged the audience and players, and the soloists wove the storyline with great verve, passion an immaculate playing. The rapturous applause brought the soloists back and they finished this very popular concert with a fast and energetic jig.